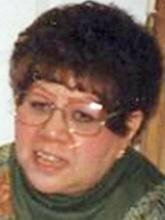 WATERLOO - Barbara A. Arellanes, 65, of Waterloo, died Sunday, November 28, at Covenant Medical Center from complications of pneumonia. She was born Aug. 15, 1945, in Los Angeles, daughter of Louis and Dora Arellanes. She attended schools in Montebello, Calif. Survived by: a sister, Yolanda (Ron) Cufr of Waterloo. Preceded in death by: her parents; and a brother, Charles Arellanes. Memorial services: 11 a.m. Saturday at Locke Funeral Home, preceded by an hour of visitation.